"You cannot operate in this room unless you believe you're Superman, and whatever happens, you're capable of solving the problem." Failure Is Not An Option (01h:29m:40s) is the centerpiece of this two-disc set about the early days of the U.S. space program, and is based on the book of same name written Mission Control Flight Director Gene Kranz. The approach is to highlight the men and women who were part of Mission Control, and how their efforts (often overlooked by popular culture) were just as critical to the success of the various Gemini and Apollo programs. The crusty Kranz, who was portrayed by Ed Harris in Ron Howard's Apollo 13, and a host of other Mission Control specialists offer their recollections about various key events—some dangerous, some humorous—in the advancement of this country's space race, and how the pressure to get a man on the moon by the end of the 1960s was always on their collective minds. These so-called "masters of preparation" recite their exploits, and though they were stuck in a control room on Earth, somehow make the situations play out like real edge-of-the-seat nail-biters. Filmmakers Rushmore DeNooyer and Kirk Wolfinger don't have much to work with visually, and in between current interviews must resort to using and reusing archival footage of Mission Control, interspersed with recreations shot to resemble the older footage. The effect, while seamless, still represents a difficult challenge to make images of men fiddling with slide rules or staring at antiquated video screens exciting, and the thing that works best here is if you sit back and just listen to the stories told by Kranz and other participants. This is definitely a look at things from the other side of the glass, so to speak. Astronauts, it seems, get all the glory and all the women, but as Kranz and others point out, it couldn't have happened without the help from a roomful of slide rules, lots of careful planning, and in Kranz's case, one helluva motivational speech just prior to the moon landing. Image Transfer Review: Failure Is Not an Option, the primary feature on this two-disc set, is presented in nonanamorphic 1.85:1 widescreen, which is kind of a rarity for A&E/History Channel projects. The transfer looks decent, with strong, natural colors and an even level of image detail that made it difficult to tell the difference between the stylized recreation footage developed for this film and the original archival footage. The features on the second disc are presented in 1.33:1. Audio Transfer Review: Audio is provided in 2.0 stereo, and the mix is simple and effective. No need for fancy audio histrionics here, and the interview segments and narration are perfectly clean and deep. No evident hiss or distortion on what is a perfectly serviceable presentation. Extras Review: Here's something you don't get everyday on an A&E documentary: a commentary track. 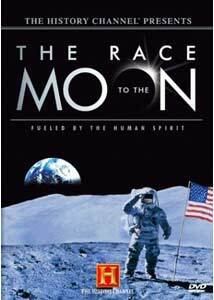 Odd as it may be, that is just what shows up here on Disc 1's Failure Is Not an Option, with an accompanying commentary from Mission Control Flight Director Gene Kranz, director Rushmore DeNooyer and editor/co-producer Tony Bacon. Kranz discusses his "severe reservations" about having a doc made based on his book of the same name, and though he is featured extensively in the film, he still manages to put some fresh spin on his stories during the commentary. DeNooyer and Bacon talk quite a bit about how they stage some of recreated footage, going so far as to match old film stock to have it look similar to existing Mission Control footage from the era. The effect is extremely well done, by the way, and I don't even think I would have suspected it had been done if they hadn't mentioned it. There is also a 23-image photo gallery included on the first disc that consists primarily of production stills made during the shooting of the documentary. Disc 2 contains over two hours of additional space program goodies from A&E and The History Channel, starting off with Codename: Project Orion (45m:15s), part of the History Undercover series. Made in 1999, and hosted by Arthur Kent, this bizarrely interesting segment explores a daring 1950s top-secret space program plan to launch Mars and Saturn-bound rockets, crammed full of people AND livestock, using A-bombs to propel them. Modern Marvels: The Space Shuttle (47m:05s) is hosted by Jack Perkins (here channeling the spirit of Walter Cronkhite), and is a 1999 program that traces the history of, you guessed it, the space shuttle. Dark moments, such as the Challenger disaster, are explored, as is a peek at the seldom seen X-33 prototype. Modern Marvels: Apollo 13 (45m:26s) takes a more in-depth look at the events surrounding one of the more harrowing moments in the U.S. space program. No matter how many times I read about this or watch a documentary about it, I'm always on the edge of my seat, even though I know the outcome. Exciting stuff, made all the more amazing because it really happened. The focus of this two-disc set is not as much what happened in space, but what happened at Mission Control, with the men behind the scenes. It is an interesting, and well-deserved, angle to explore, and the content is rich with techie terminology and men staring at ancient-looking computer monitors. Fascinating, and an easy recommendation for space nerds.